These are samples of colleges I've made. All of them have been done with the same pair of scissors, no exacto knives are used. The pictures are all from a variety of magazines which are pasted down with glue sticks then laminated. Born and raised in Portland, Maine, where I work full time and complete these projects in my spare time. A lot of my work is elaborate hidden picture puzzles. I hope you enjoy checking them out. 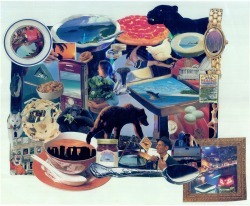 This is the big collage I spent 4 months making. I spent over 12 hours some days working on it. I wanted to make a collage with my old boss Norm hidden in it. See if you can find him. You can see it hanging up in Yordprom's Coffee Shop at 722 Congress Street and at Norm's Bar and Grill. 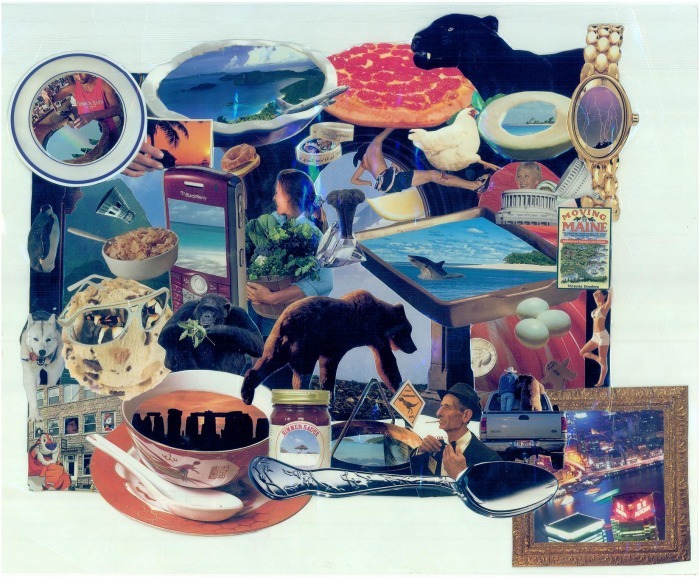 Hidden in this collage are the owner of the coffee shop and the owner of Norm's, Elvis, Oprah, David Letterman, a dog and a strawberry. I have a list of over 100 famous people that I will copy if you purchase this masterpiece. It is also possible to put your own face or someone you know in this collage. I can do that digitally so you can make all your friends try to find you for days. 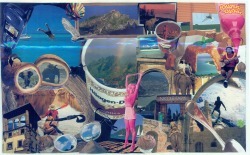 My initials "MH" are hidden in this collage if you pay attention. Prints: $150 ($100 if you are already in it). 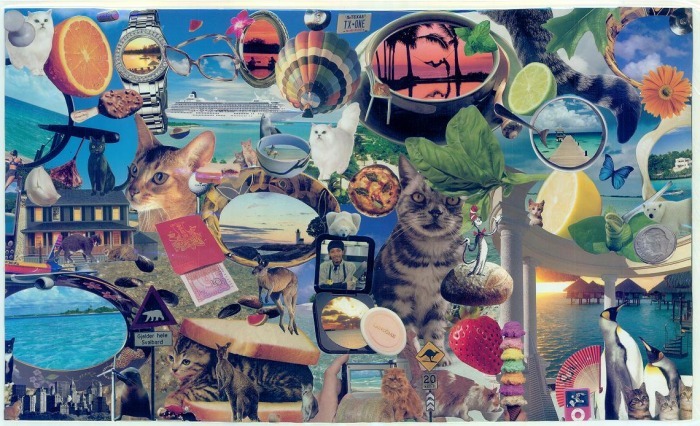 This is a cat themed collage. Hidden in this collage are 2 hammocks, 2 bales of hay, an avocado, and Bugs Bunny. Prints: $100. 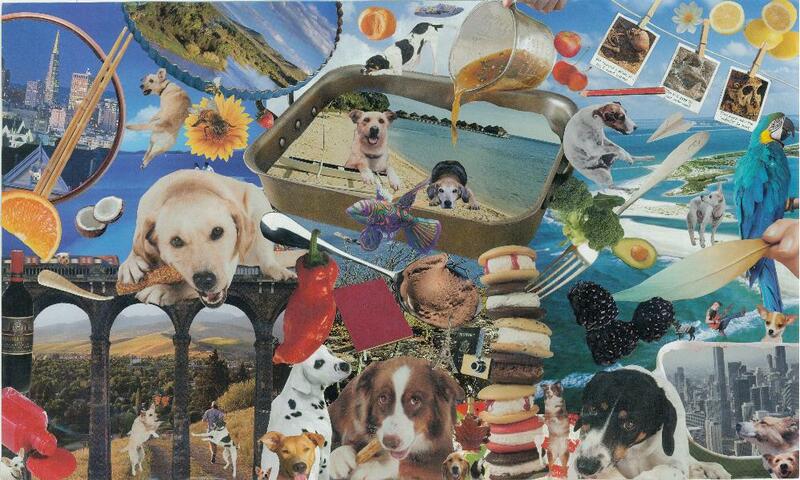 This is a dog themed collage. 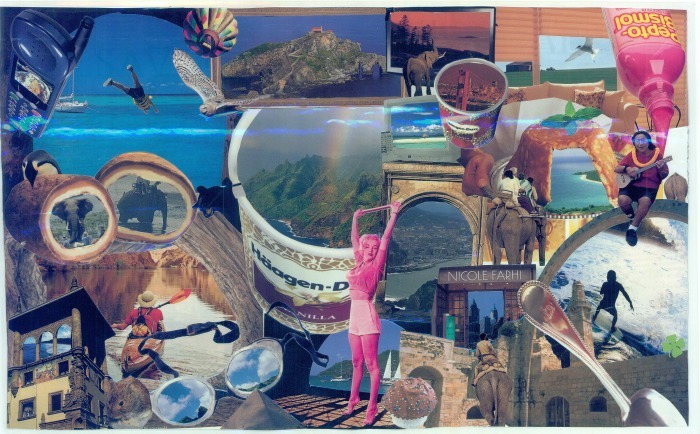 Hidden in this collage are an airplane, a butterfly and an avacado. Prints: $100.